Elmdale Partners is a real estate investment company with expertise in residential and commercial real estate. Elmdale is the cornerstone of a multi-faceted real estate platform that includes investments, brokerage, property management, commercial financing, and development. 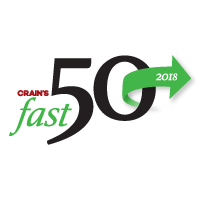 Ranked Crain’s Fast 50 Top Ten and One of Chicagoland’s Largest Private Companies.